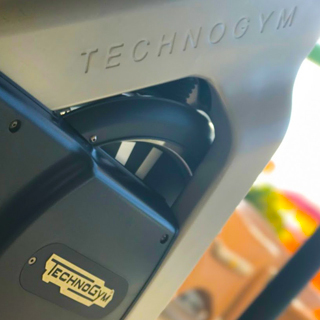 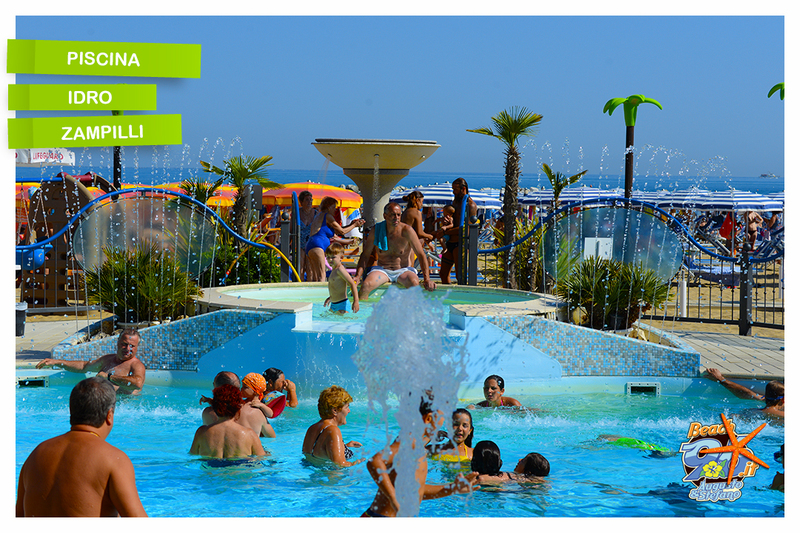 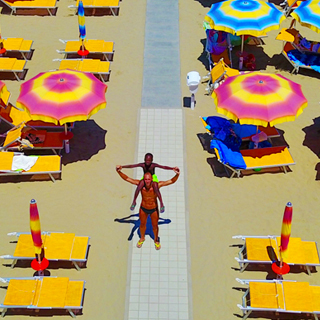 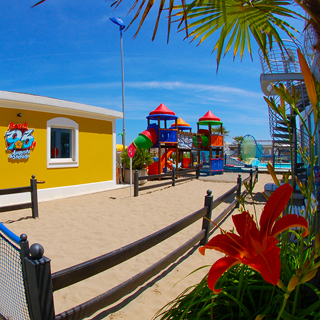 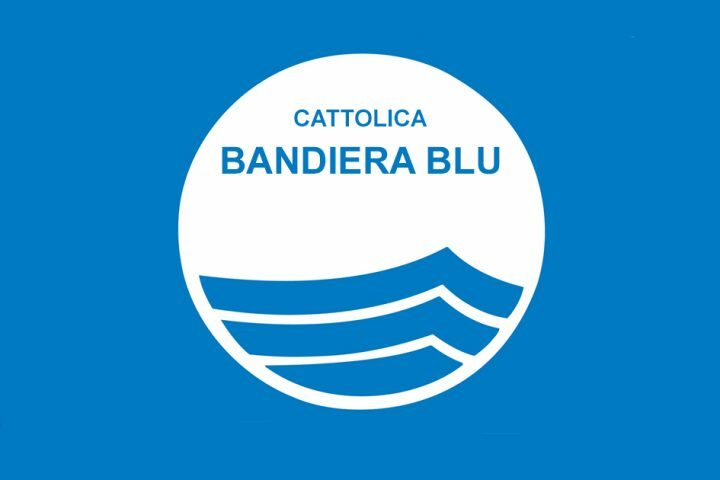 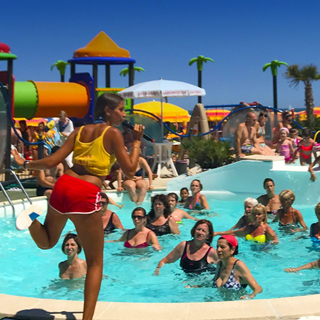 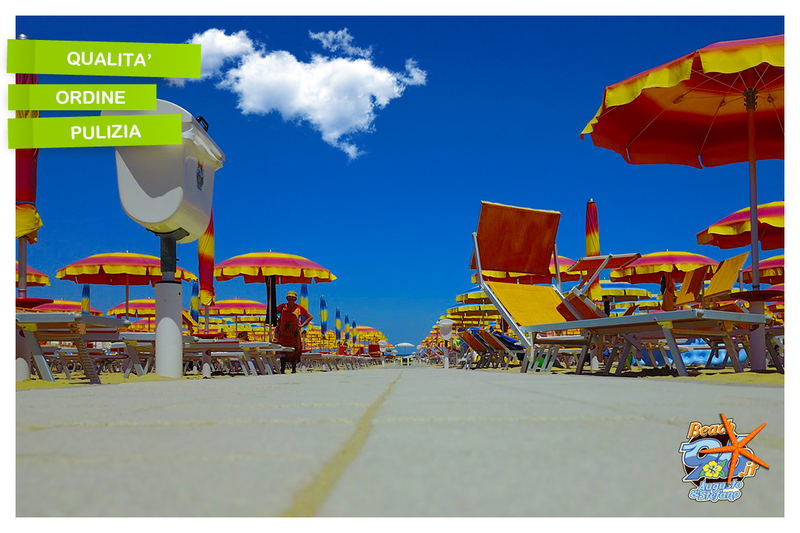 The lido in Cattolica known as “Beach 96 Augusto and Stefano” has just had a face lift; Beach Village Cattolica a new concept of a bathing establishment that is a far cry from the traditional lido – it’s amenities are in fact more similar to those offered by a holiday club. 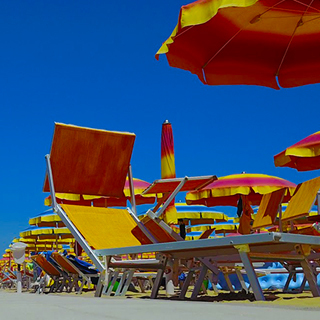 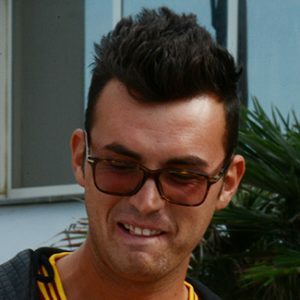 “Beach 96 Augusto and Stefano” goes international whilst maintaining the gist of a characteristic Romagnole bathing attendant. 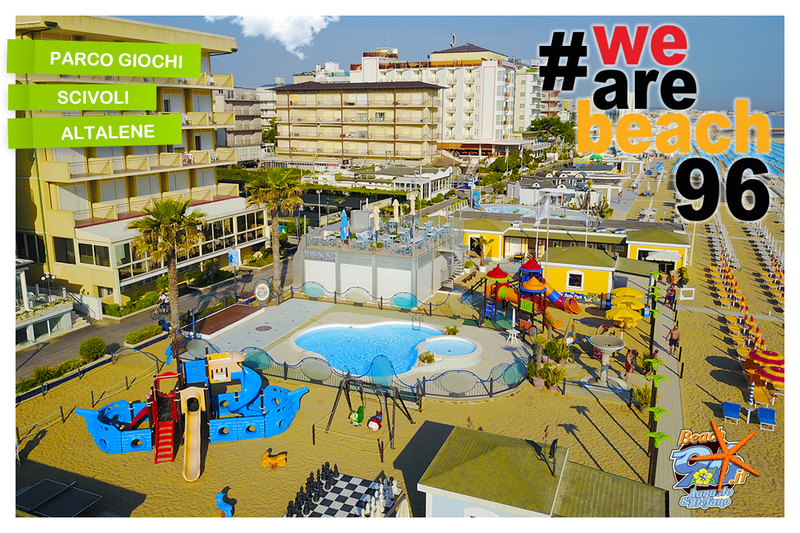 At “Beach 96 Augusto and Stefano” in Cattolica, as well as the traditional sunshades and loungers, you’ll find: a pool, a whirlpool, a fully equipped exercise area with “Technogym” work-out machines, table tennis, bowls, a children’s play area,a team of entertainers, mini-club, nursery cabin, pedal-boats, billiards, bar-restaurant, hot shower, baby-sitter, waterslide and, last but not least, the constant attention of Augusto and Stefano, members of the Coop Bagnini since 1978. 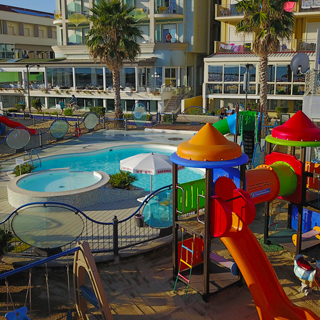 The mini-club is at no extra charge, leaving Mum and Dad free to relax in the sun or go off for strolls without worrying about the kids – who will be too busy enjoying themselves with our staff to notice their absence. 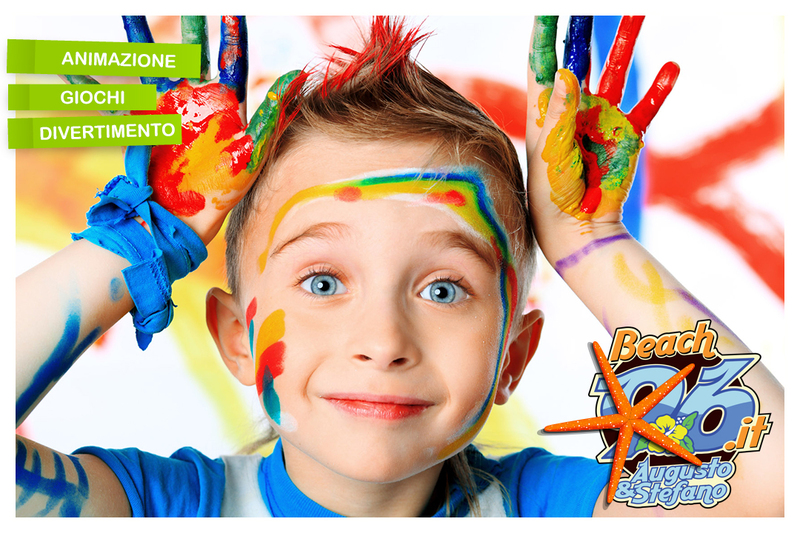 Games for the children are organised daily: competitions, dances and races as well as artistic pastimes such as body painting, origami, salt-pastry modelling, painting and lots of other interesting recreations. 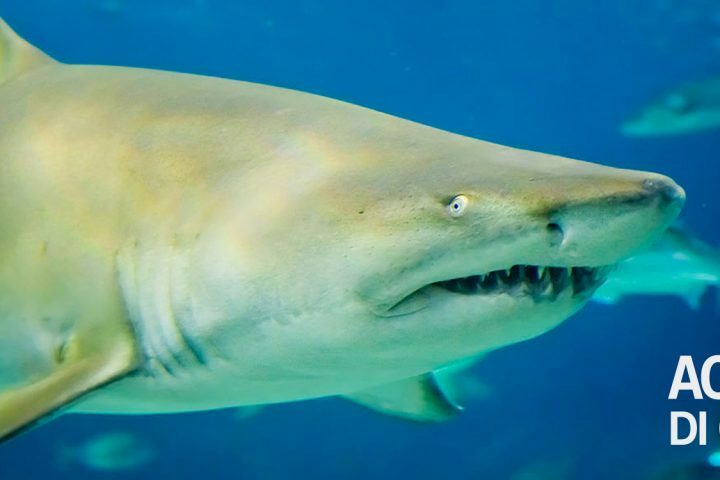 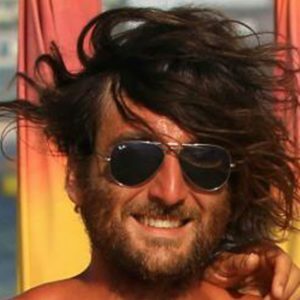 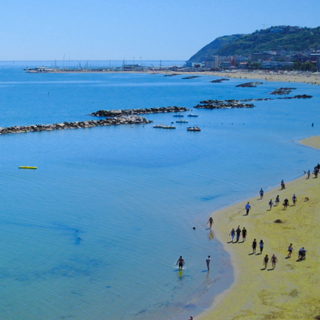 The service is available from Monday to Saturday, from 10 a.m. to 12 p.m. and from 4 p.m. to 6 p.m.
Sea bathing at “Beach 96 Augusto and Stefano” is absolutely safe. 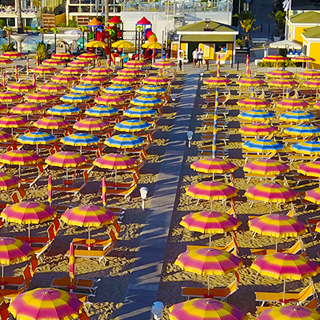 During the day, lifeguards control the sea in front of the Lido from their watch-towers, the service is guaranteed throughout the summer season. 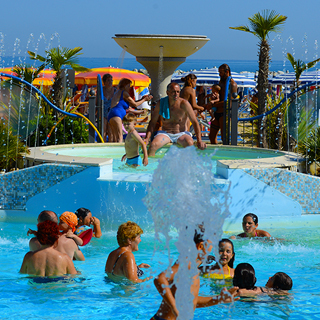 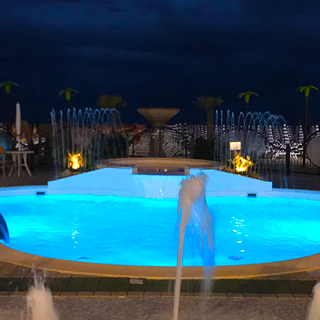 For your seaside holiday in Cattolica on the Adriatic Riviera choose the Lido with the pool, the fountains, and the whirlpool – considered by many as the best Lido in Cattolica, outstanding in its difference, open from May to September. 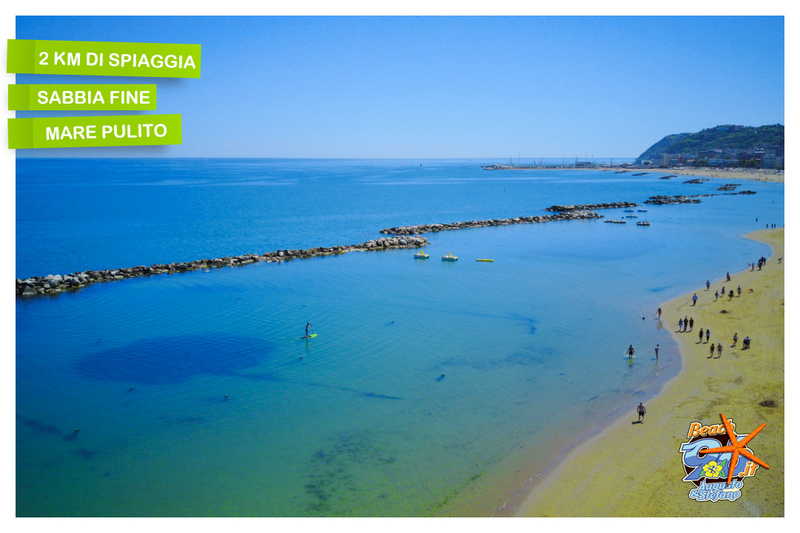 Guests who prefer the “half-board” solution in the hotel, so as to have the full day on the beach, can enjoy the fabulous seafood specialities or the traditional Romagnole “piadina” served at our bar-restaurant overlooking the beach. 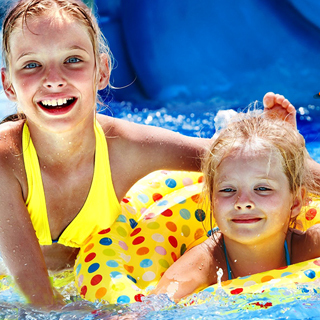 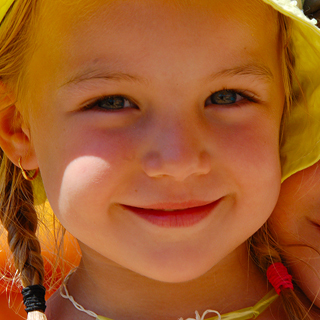 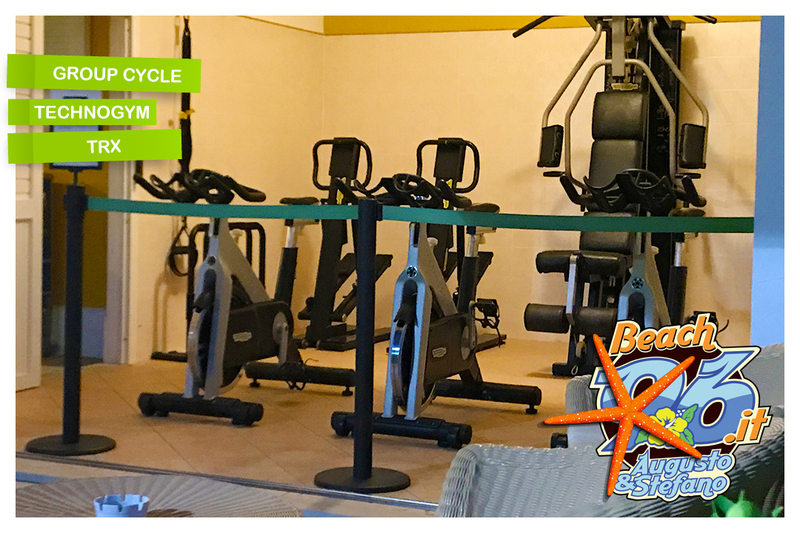 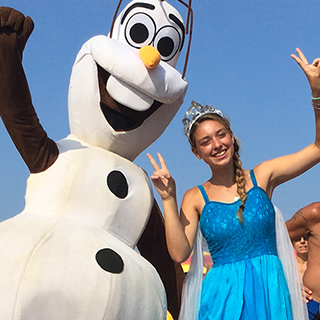 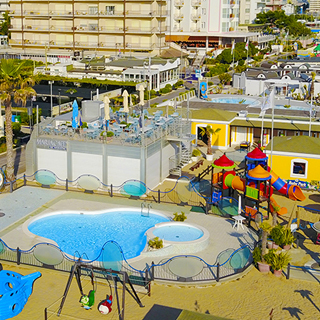 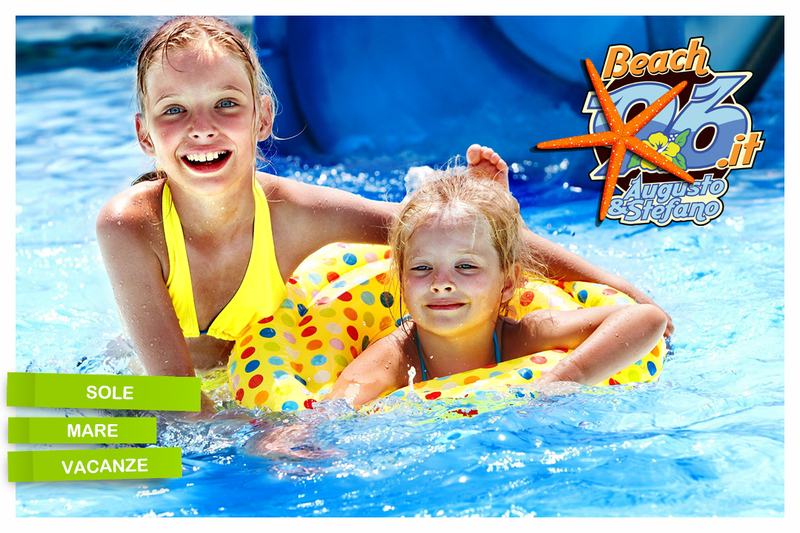 It’s very informal, beach wear is ideal and the kids can continue to have fun in the play park.The prices at “Beach 96 Augusto and Stefano” are the same as those in the other lidos in Cattolica but with far superior amenities. 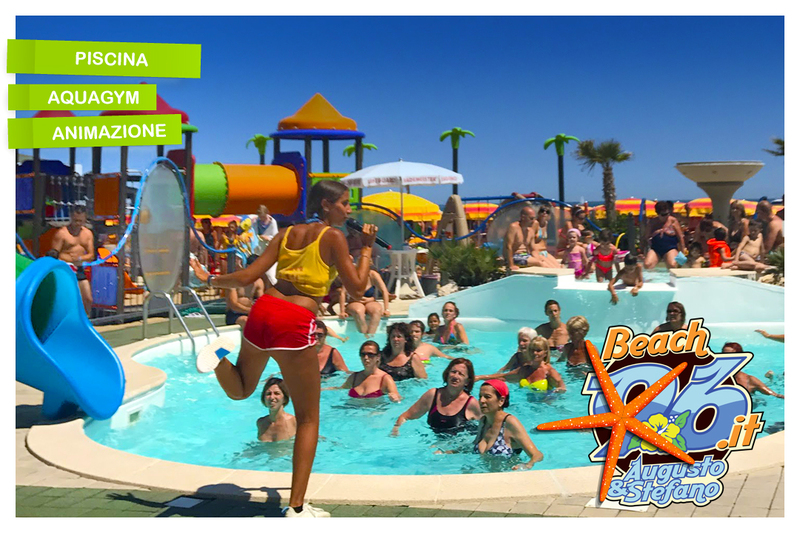 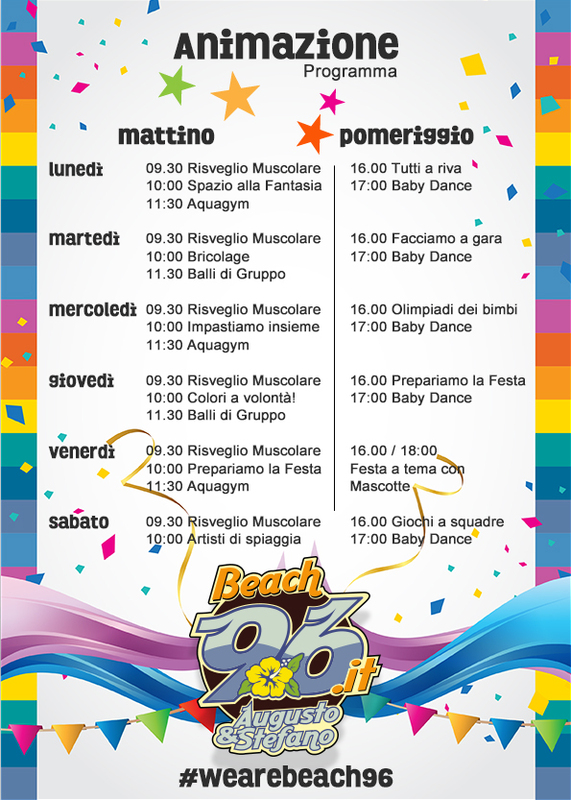 “Beach 96 Augusto and Stefano”, the stage of your seaside holiday where you are the protagonist of your well deserved holiday. 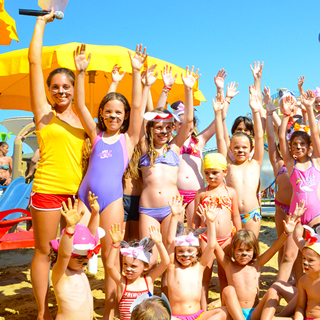 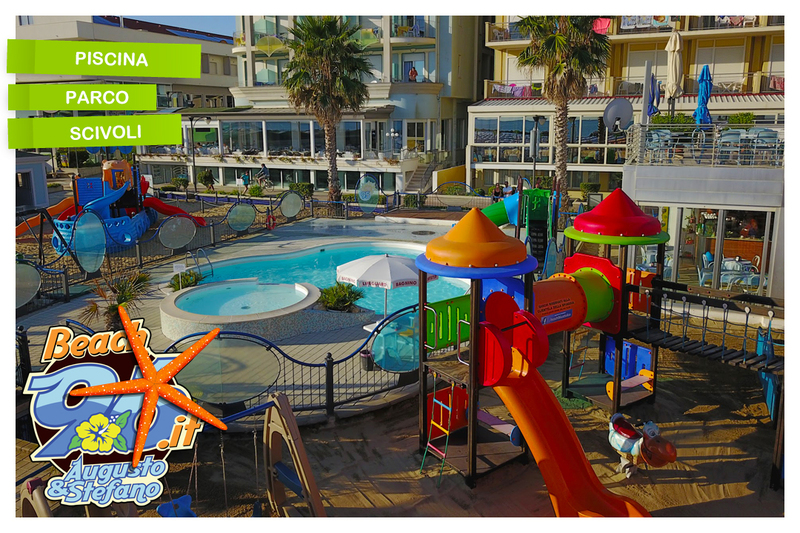 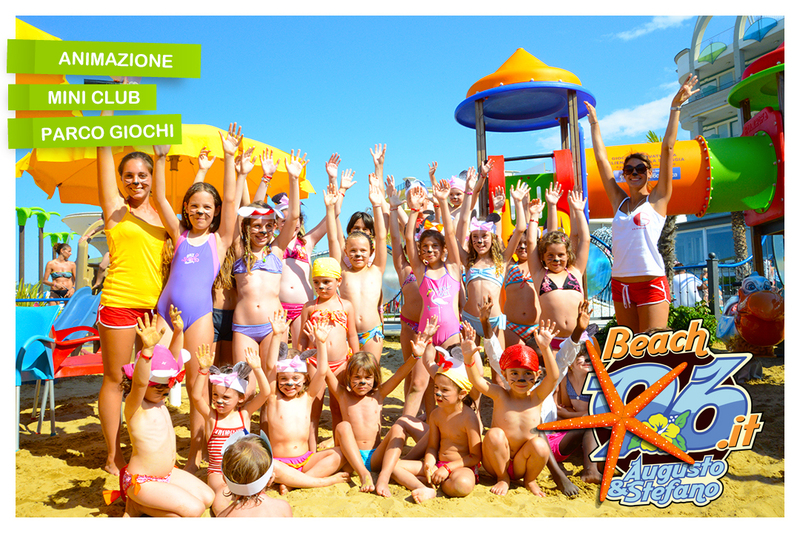 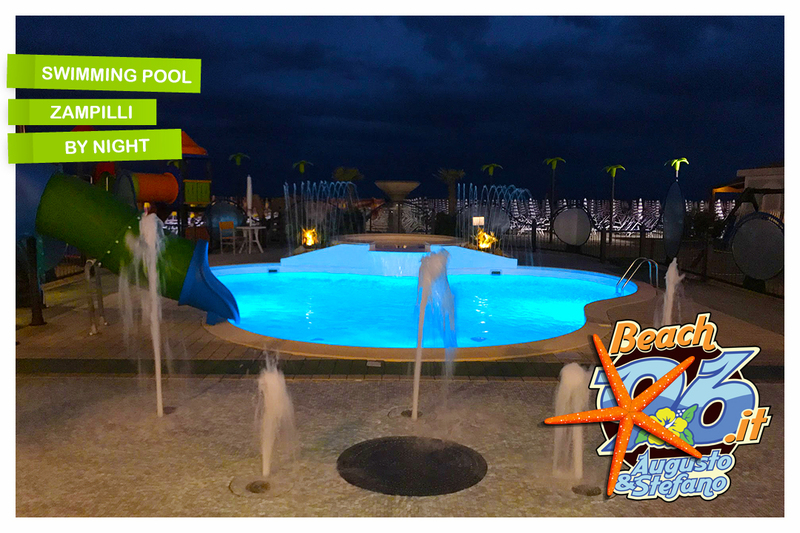 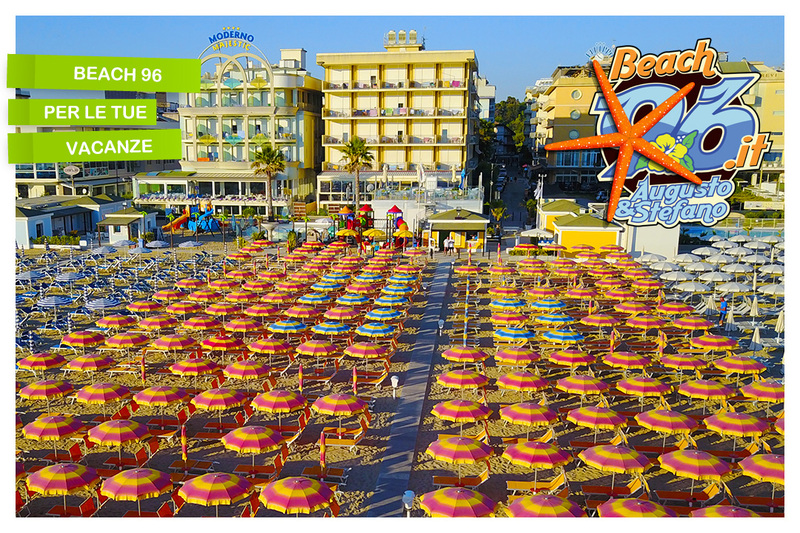 Log-on to our web-site www.beach96.it and take a look at our Lido through the webcam . 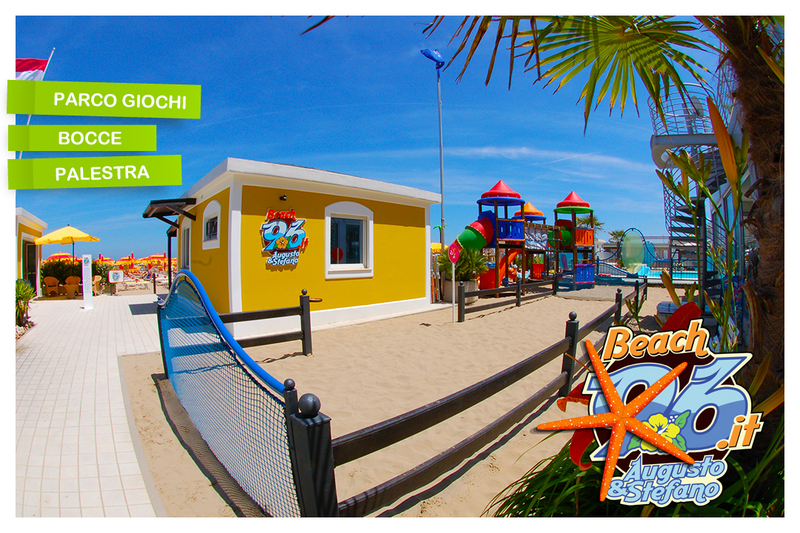 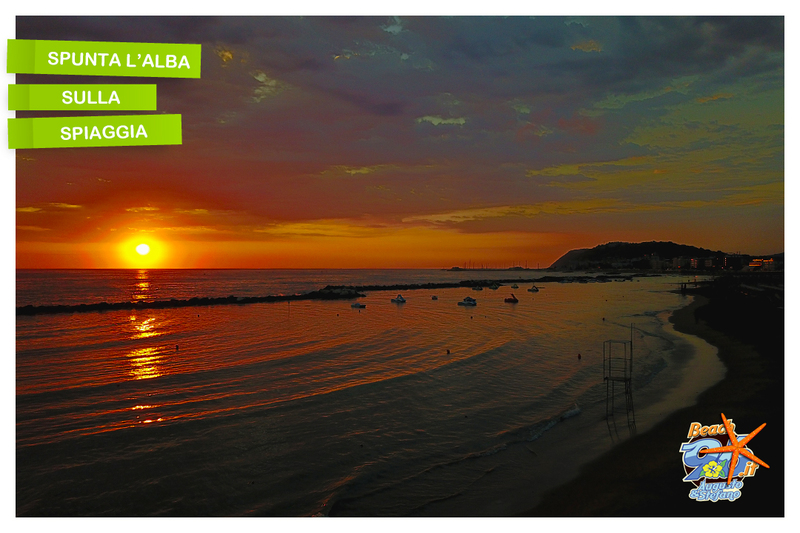 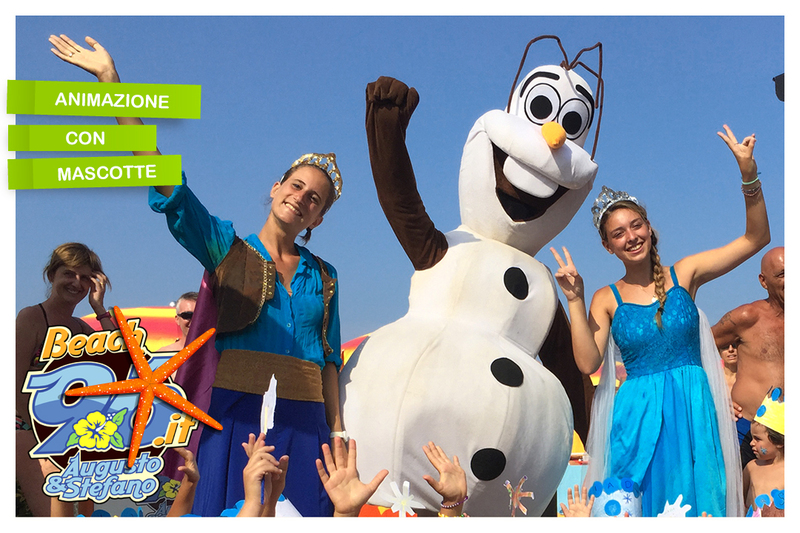 “Beach 96 Augusto and Stefano” is the first lido in Cattolica with a web-cam to delight you with winter-time sea and beach scenery. 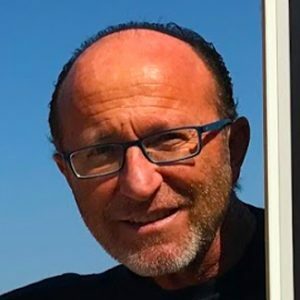 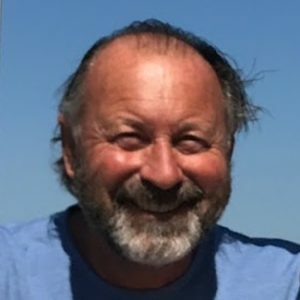 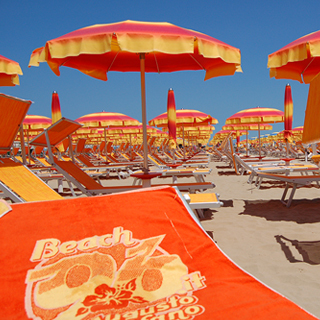 “Beach 96 Augusto and Stefano” is the recommended lido of the best hotels, boarding houses and apartments in Cattolica such as: Hotel Elite, Hotel Belsoggiorno, Hotel Handy Sea, Hotel Filippo, Hotel Esperia, Residence Baltic etc. 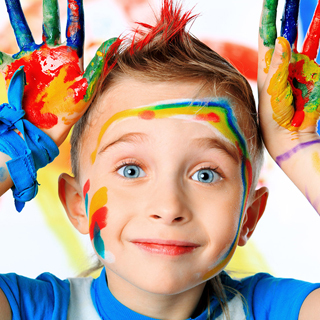  all offering a range of services able to satisfy your every need with an excellent quality/price ratio. 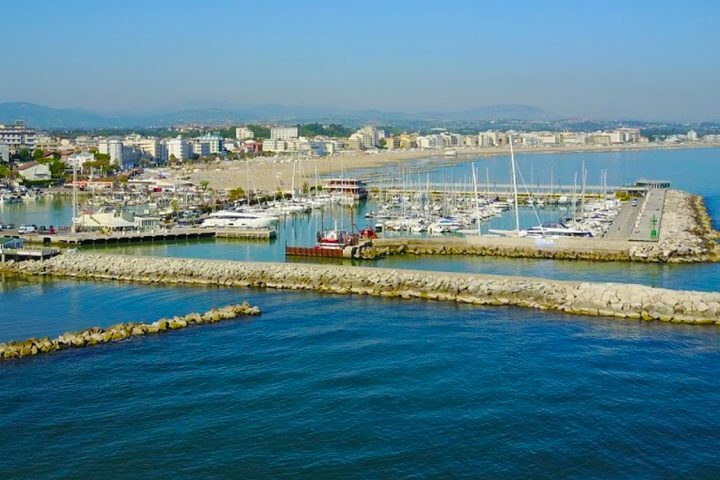 These hotels are all to be found in the resort area of Cattolica, only a short stroll from the sea front, the town centre, the “Navi” sea park and the shopping centre. 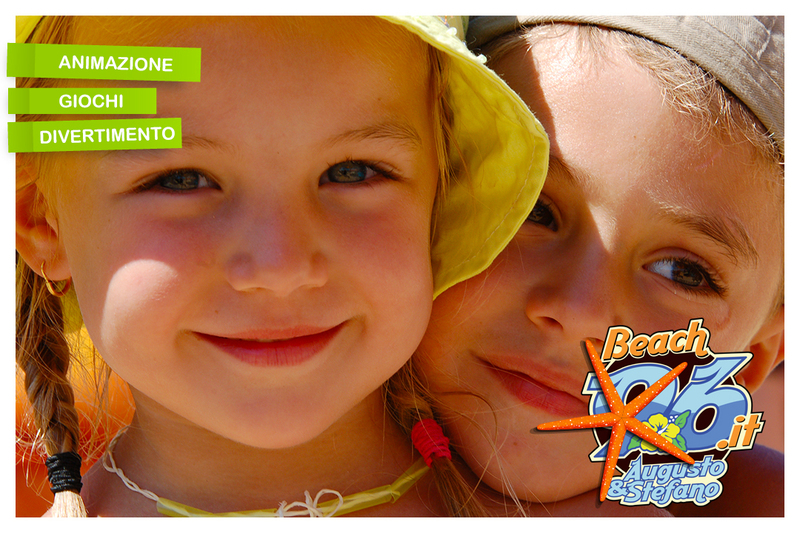 They’re easy to reach by car from the motorway exit. 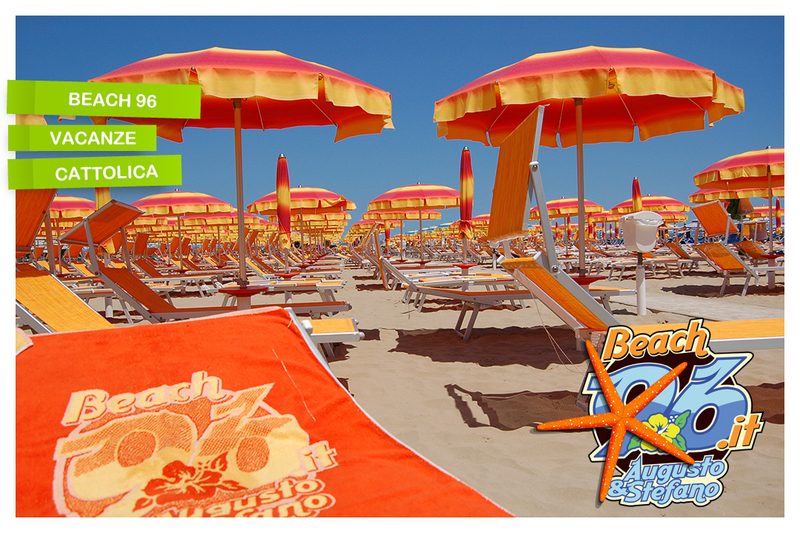 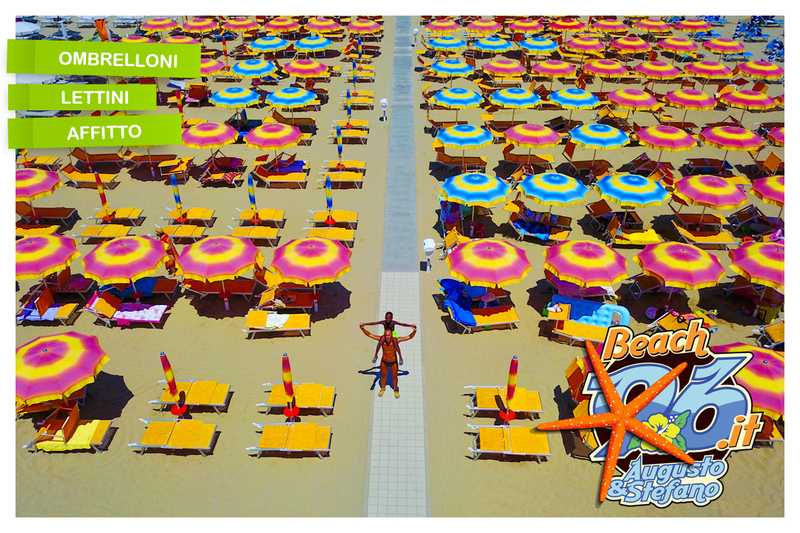 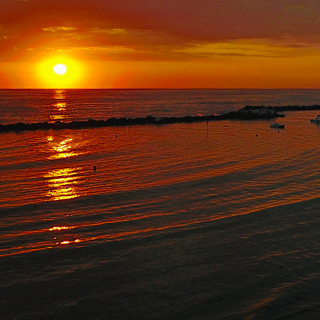 Log-on to our web-site www.beach96.it and book a holiday in Cattolica… we’re here, just waiting for you!!!! 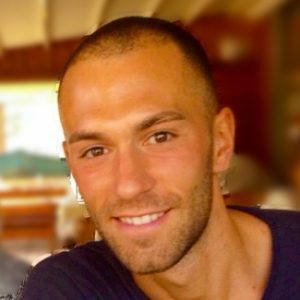 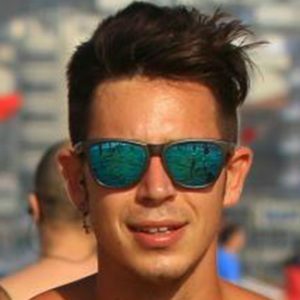 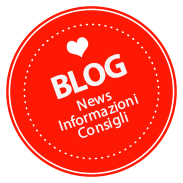 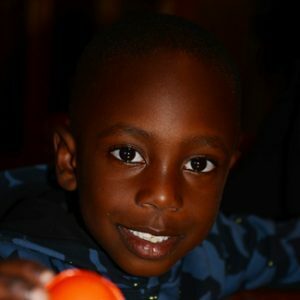 Oltre al tradizionale noleggio di ombrelloni e lettini, sono tanti i servizi a disposizione gratuita della clientela.